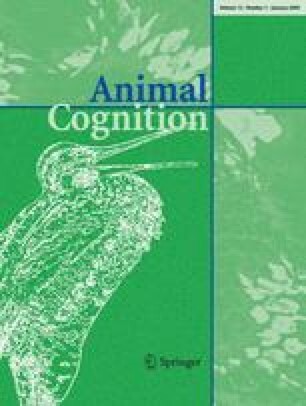 This study compares the behaviour of the mule (Equus asinus × Equus caballus) with that of its parent species to assess the effects of hybridization on cognition. Six mules, six ponies (E. caballus) and six donkeys (E. asinus) were given a two choice visual discrimination learning task. Each session consisted of 12 trials and pass level was reached when subjects chose the correct stimulus for at least 9 out of the 12 trials in three consecutive sessions. A record was made of how many pairs each subject learnt over 25 sessions. The mules’ performance was significantly better than that of either of the parent species (Kruskal-Wallis: Hx = 8.11, P = 0.017). They were also the only group to learn enough pairs to be able to show a successive reduction in the number of sessions required to reach criterion level. This study provides the first empirical evidence that the improved characteristics of mules may be extended from physical attributes to cognitive function. This experiment complies with the United Kingdom Home Office regulations concerning animal research and welfare as well as the University of Exeter regulations on the use of animals. We are grateful to the members of staff at The Donkey Sanctuary’s Town Barton farm for their support and willingness to facilitate this project. For comments on the manuscript we thank Karen McComb.